Make this week a week of thankfulness. Create space each day for a moment with God where you deliberately appreciate all He has done for you, is doing right now for you and all He will do for you in the future. Thankfulness is a choice, it will not happen by accident. 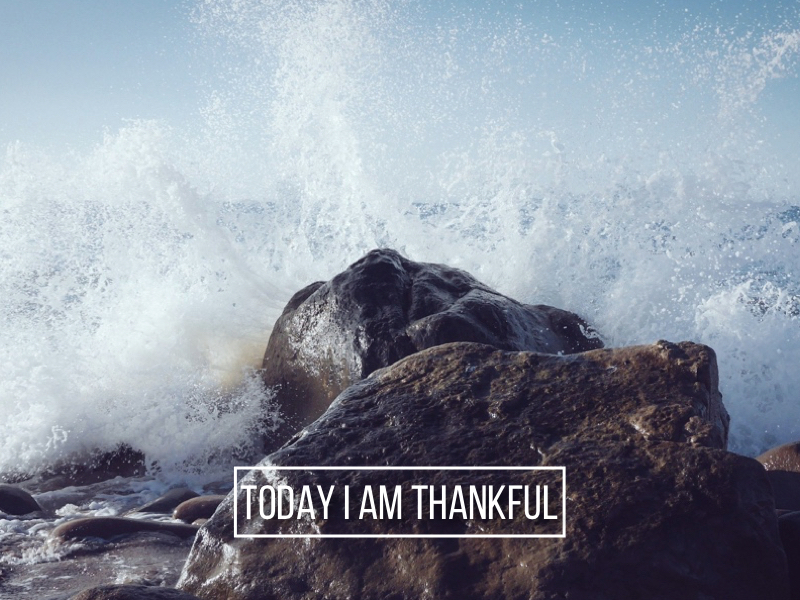 Some days thankfulness can be easy and on other days it can be tough. Life is unfair. Life is difficult. Life is not always a party time and celebration. At these times we choose to bring a sacrifice of praise, we bring our thankfulness as an offering, a gift, a purposeful decision. We recognise that is hard but we are deciding to say thank you anyway. In doing so, we lay aside our own feelings and walk by faith, confident in the knowledge that God is with us, that He loves us and is always with us. Let me help you with your devotional time this and give you 7 things to be thankful for, one for each day, to help you in your giving of thanks and praise to our God. What you will say thank you to God for will be in relation to your own situation and circumstances. I would love to hear what you thankful for?